Implementation to be based on Oracle’s Best Practice “Application Integration Architecture” for SOA, encompassing high level of modularity and decoupling so as to enable the implementation to be reusable. Usage of Oracle’s made to fit Oracle Apps adapter for communication with EBS. Extensively decoupled solution enabling the Customer to rapidly reuse the code made for one steel plant, at 6 other steel plants, without any customizations. High degree of fault handling in the code for tracking and reporting. High degree of failover protection using clustering and load balancing. High degree of reusability – Up to 90% of the one-time developed code reused for implementation at 6 other steel plants, hence going live in a fraction of time. 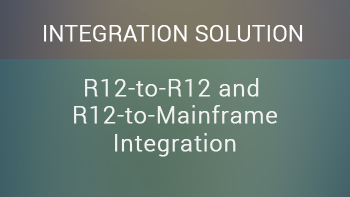 Real time integration with Oracle and Mainframe Systems resulting in faster information availability to Customer.